Beautiful dress! You feel like a princess when you put it on! Gorgeous light mauve under layer, adds a hint of colour. Sweetheart neckline, ball gown skirt. 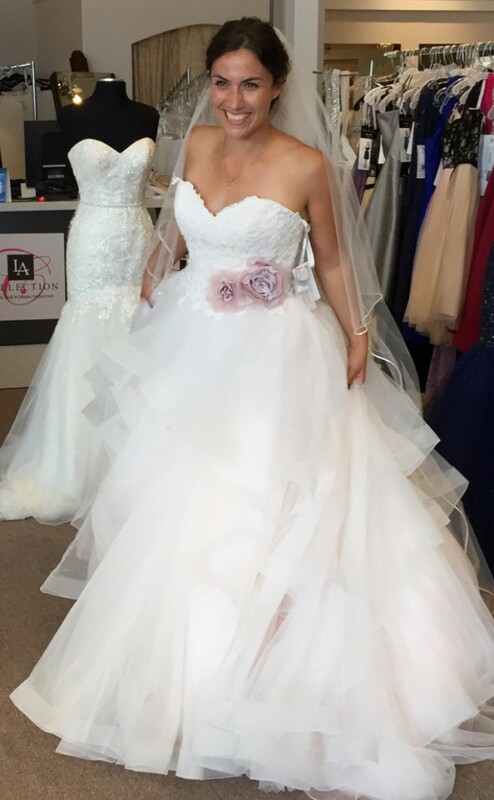 Designed by Nicole Spose, collection Nicole 2016 Floor model, never worn, never altered, tags still attached. Once you send a message, Françoise can invite you to purchase the dress.